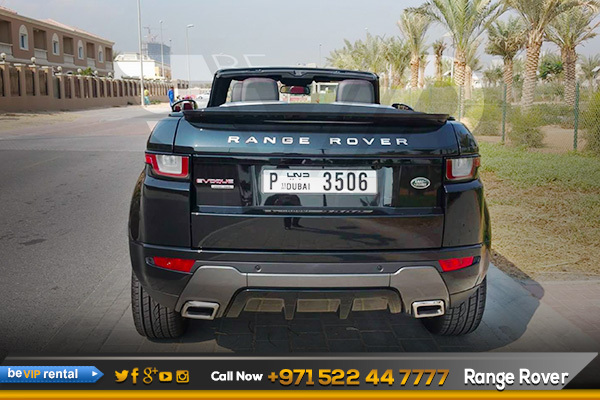 Range Rover Evoque Convertible Car Rental in Dubai from Be VIP Car Rental, with its striking lines, muscular shoulder and tapered roof – has become synonymous with style and contemporary city life. 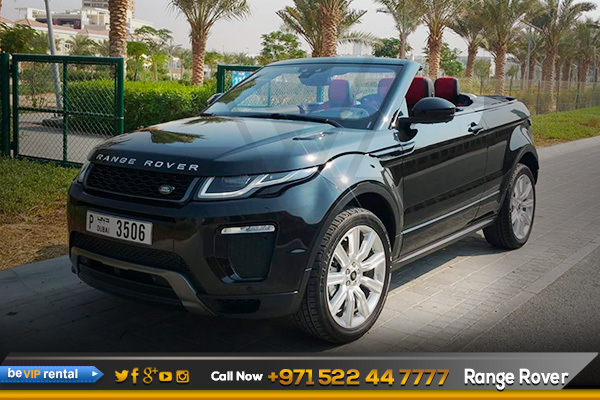 Now the New Range Rover Evoque Convertible luxury car rental in Dubai, the world’s first premium compact convertible SUV, is going even further by setting new standards in design, capability and driving comfort. 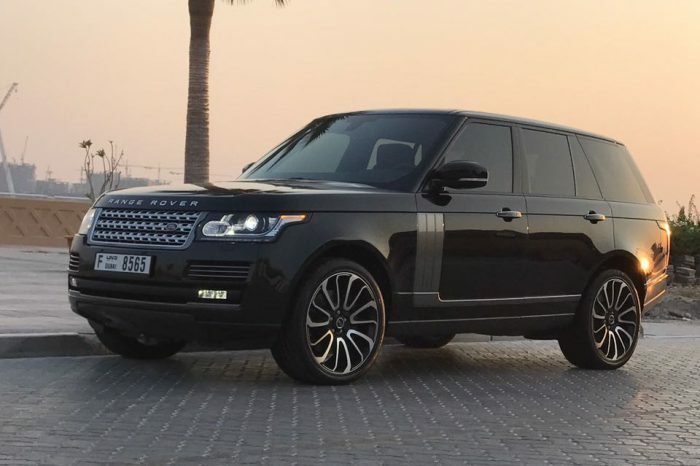 The Evoque broke multiple barriers in the design world, and its blood relative – the Evoque Convertible – again sees Land Rover pulling out all the stops to offer something fresh and attractive for its fan base, The Range Rover Evoque is available in Coupé and Convertible body styles. 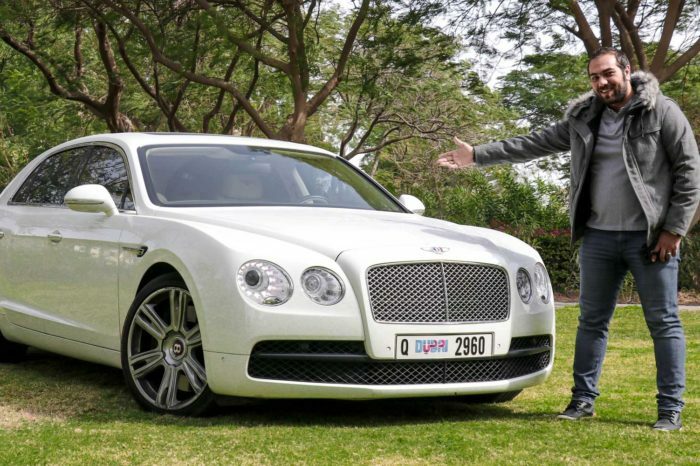 The Convertible is available in SE Dynamic and HSE Dynamic models featuring an Ebony fabric Z-folding Convertible Roof System. 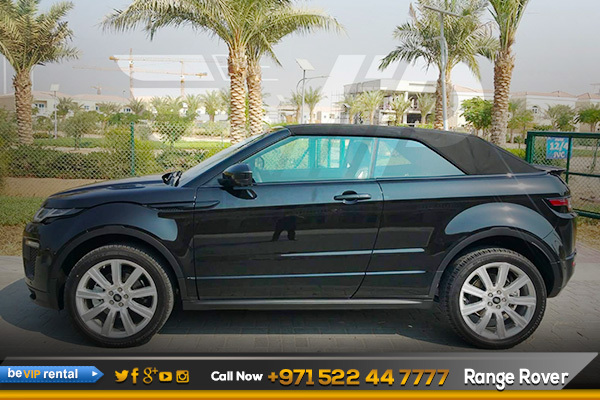 This Evoque Cabriolet is a prominent part of the Be VIP car rental 4×4 SUV range available for rent and delivery in Dubai and emirates. 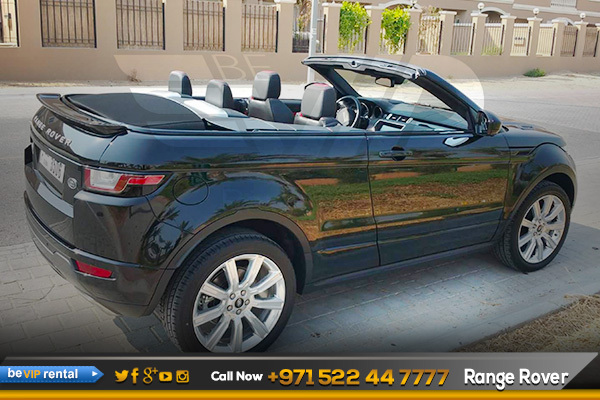 Choose to rent the Range Rover Evoque Cabriolet in Dubai today and experience this machines full potential. 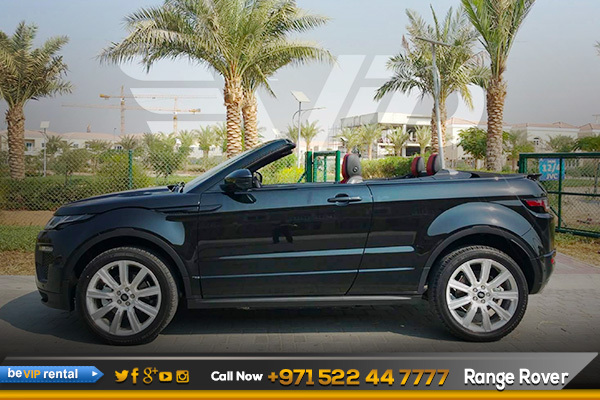 Make your dream come true by driving such an elegance beauty, rent a Range Rover Evoque Convertible in dubai. Down the road, we expect to see the powerful Range Rover Evoque Convertible from Range Rover Evoque Convertible family. 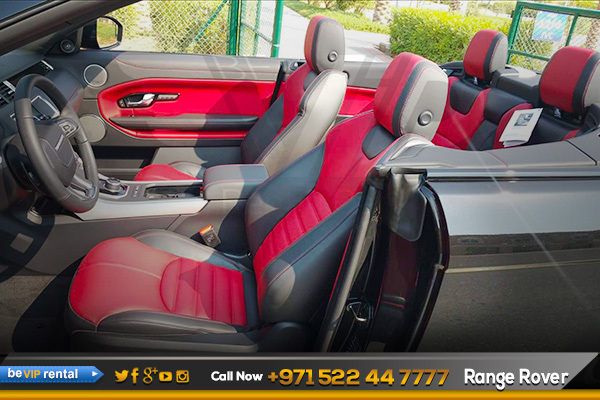 Make it possible for you too, Now we offer Range Rover Evoque Convertible rental in Dubai including Range Rover Evoque Convertible Rental in Abu Dhabi and all over UAE. Book Now! 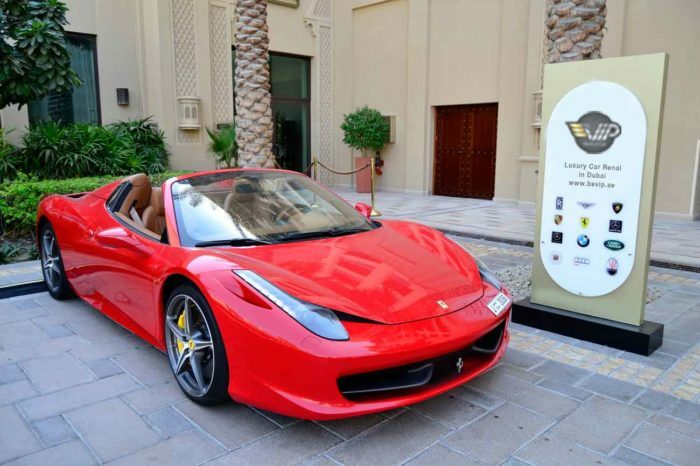 And get an exotic Range Rover Evoque Convertible rental in Dubai.